David Cameron would have let my daughters die. We all know the Tories are a bunch of nasty spiteful aristocrats. Yet they are now taking their nastiness and spite to a whole new level. 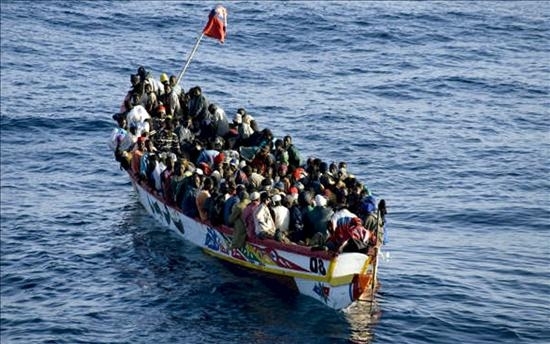 Britain has now formally pulled out of contributing any assistance to rescue operations across the Mediterranean. Their rationale is that, by saving some people’s lives (let’s remember not all), they will be encouraging more to attempt the dangerous journey. The logic of this is not only incorrect but it is also racist and heartless. The assumption seems to be that people only attempt to cross the Mediterranean because they know European vessels will be there, at the ready, in case something goes wrong. Obviously, as far as the 20,000 who have died crossing the Mediterranean in the last 20 years are concerned, they must have assumed incorrectly. Logic then seems to assume that, while watching the BBC world news on their iPhones and hearing that there is one less country contributing to rescue operations, that they will then be dissuaded from making such a perilous journey. It’s such lazy logic and so easily shot down that it’s hard not to conclude that this pitiful excuse was just dreamed up in five minutes over some scones and jam. Essentially what we have here is the Tories playing politics with people’s lives. Moreover, they appear to be using this opportunity to reassure Tories who are thinking of defecting to UKIP that they are still the closet racists that they have always been. According to the army officer, the youngest was almost dead when she was taken on board an army rescue boat. An engineer, trained as a combat medic, said a colleague handed him the baby, who was around six months’ old at the time. “There was chaos, immigrants in the sea and the two children floating face down. Her lungs were full of water,” he said. After removing the water filling her lungs and applying CPR, she started stirring, although she remained unconscious. The eldest girl was also unconscious, but in a better state than her sister. 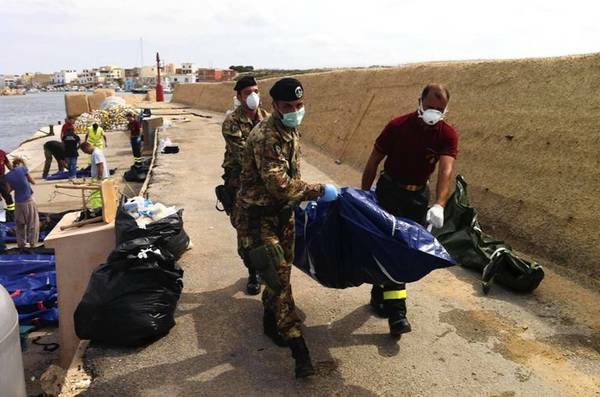 Tragically, by the time they had rescued their birth mother from the sea, she had died. It turned out she was the only person from the 27 passengers on board who had died, and, given that no-one on the boat knew her identity or any other details, these two girls were placed in an orphanage. The following year, we became aware of their situation and started the adoption process. That was almost five years ago, and they have since grown into very loving, bright and happy girls that both my wife and I love to bits. Eventually, after getting through quite a bit of red-tape, I found out what had happened to their birth mother’s body. She had been buried in an unmarked grave as though she had died as a “non-person”. Her plight, her loss and her tragic death were recorded and acknowledged, only to the extent of six letters and two numbers scribbled on her death certificate: “Corpse 49”. It wasn’t just that her existence had been forgotten; it was almost as though she had never even been alive in first place. What I do know is that, if the rescue boat has arrived just one minute later, neither of my daughters would have survived. They too would have been buried in unmarked graves with their mother, to become “non-children”, and presumably would have been named “Corpse 50” and “Corpse 51”. Their deaths would have been a non-event, grieved by no-one. So David Cameron shamelessly washes his hands of any responsibility, and refuses to make any contribution. He weighs up the pros and cons, deciding that his own political manoeuvring is of far more value than thousands of African lives (as I have already argued, those fleeing desperate circumstances in Africa do not base their decision on logic, or a reasoned assessment of how likely they are to be rescued). Even with the UK helping out up to now, it has still been extremely risky and dangerous. The fact that these people are willing to take these kinds of risks, often having to fork out staggering amounts of money, is an indication of the desperation they must be feeling: taking a gamble on life or death is, to them, a better option than remaining where they are, and this alone should tell us enough about their urgent need for help. The UK’s decision to withdraw support from rescue operations will not make one iota of difference to those who decide to make such a perilous trip. All it will do is increase the risk to their lives, and result in an even greater death toll. This tragic issue will only get worse. That the UK can take such action with full awareness of the Western powers’ involvement and continued neo-colonialism in Africa, is doubly shocking. This, after all, is the root cause of people’s desperate need to get away. The UK brazenly floods African nations with billions of pounds’ worth of arms, encouraging and supporting internal conflicts and bloodshed. It’s all so good for British business. What it comes down to is the simple truth that, for David Cameron, black people’s lives just don’t count for much; rather they are irrelevant and insignificant. So of course I take it personally: I think of all the beautiful, dignified and courageous mothers, fathers, brothers and sisters, whose desperation to find a better life (the kind of life we westerners take for granted) will results in their deaths, and I know that they will be someone else’s loved ones, just as they could have been mine. Cameron appears to see my daughters and all the other children fleeing Africa with their parents as ‘non-people’, children whose lives don’t count. The title of the article might seem emotive, but sadly it is true. He knows full well what the consequences of his actions will be, and he has already decided that it will be worth it. So, yes, he would have let my children die. When you strip this policy of all its lies and political double-speak, it is nothing more than racist, cold-hearted and cold-blooded. To withdraw support, knowing full well that the only impact it will have is less people being saved, is bordering on the sociopathic. So it appears that we are not only led by the least able, we are also led by callous narcissists who genuinely value their own destiny and advancement of power above any number of innocent lives. For me personally, it’s hard to even express how this makes me feel: partly anger, of course; but also deep sadness and a kind of weary disenchantment. Yet, on the other hand, it encourages me to keep fighting; to keep doing whatever I can to bring to the public an awareness of the cruelty and criminality of our political class. Ultimately, there are lives at stake and they are lives worth fighting for. 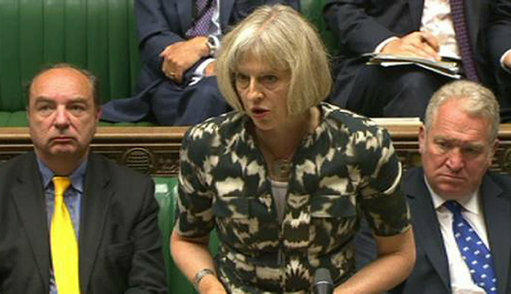 David Cameron is not human, he is the real terror threat to the UK. He is evil masquerading as a human. His actions CLEARLY show he is a heartless psycopath with NO EMPATHY for life WHAT-SO-EVER. He needs to be removed from his office IMMEDIATELY. OTHERWISE THESE ATROCITIES WILL CONTINUE AND GET MORE SEVERE. We have the technology to create TRUE democracy already in place. Where everyone gets to vote on POLICY, not on which member of the SOULESS SATAN WORSHIPING ZIONIST GLOBAL CABAL gets to torture us next. Try to understand what we are dealing with when I call him evil. EVIL is LIVE spelt backwards. WAKE UP AND SEE THE PRISON YOU ARE IN ALL AROUND YOU. How much longer are we going to put up with this? Let’s ALL rally in London on November the 5th, stay there and FORCE major reform of the political system. Lets choke the city of London with people who actually KNOW right from wrong. Not because of a man made law, but because it is in their hearts. WE MUST BRING THE CONTROL SYSTEM DOWN TOGETHER. Let’s make 2014 the last year a law gets past that obviously hurts our fellow man. The GOLDEN RULE is do unto others as you would have them do unto you. Let’s MAKE THEM LEAVE or give them what they have bestowed upon us. Remember they are a TINY minority we number in the MILLIONS. BE THE MIRACLE WE ALL PRAY FOR. I cringe with shame at being ‘British’. If this is what it represents, I never was and never will be. Get this bunch of inhuman specimens OUT! (Cameron, May & co) before there’s nothing left to salvage of human decency. Agreed.What is most disturbing is they were in fact voted into power.Most likely decent people not being aware they voting for indecent criminals.